After the visit to a fruit farm to eat durians, the driver drove us to our next destination. I truly enjoy such excursions except for the extremely hot weather. I was perspiring profusely when we reached the nutmeg farm. 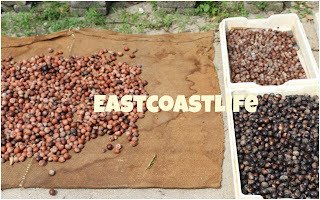 I took a few photos of the nutmeg trees and the trays of nutmeg drying in the scorching sun. After a brief rest and everyone had cooled down, she proceeded to explain the numerous health advantages of nutmegs. 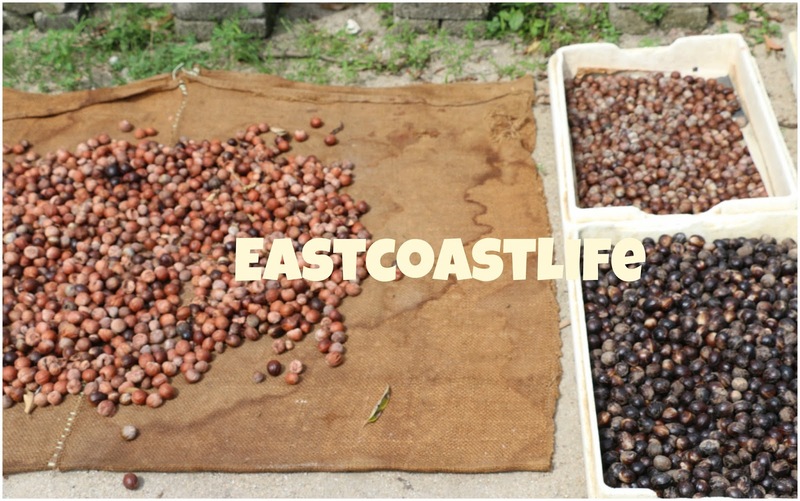 My late grandmother liked to use nutmeg oil and nutmeg paste. She would rubbed some nutmeg paste on my throat and nostrils when I was a child down with flu. I dislike the smell then. 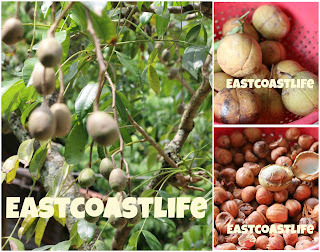 I was fascinated with the fresh and dry nutmeg fruits. The smell was intoxicating. The hard brown seed of the nutmeg tree has a spicy sweet flavour. 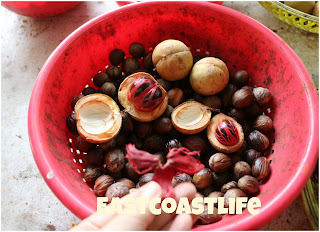 The dried lacy red membrane that envelops the nutmeg seed is called mace. 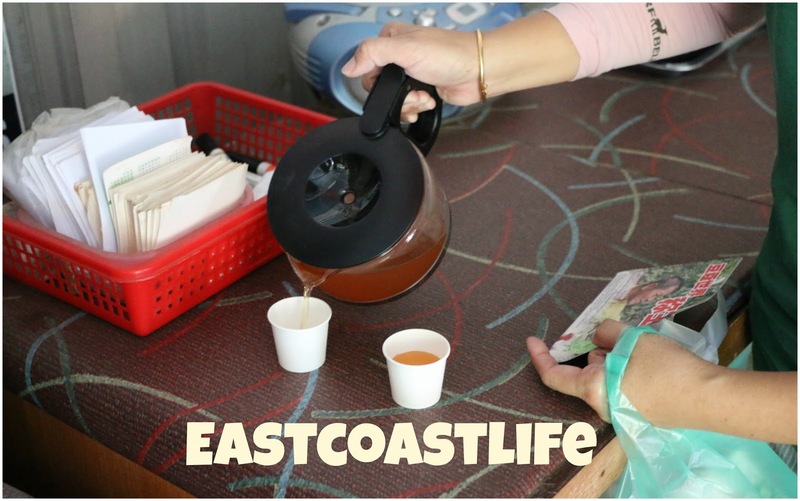 It greatly enhances the colour, flavour and taste of dishes. I will attempt to use it in my cooking. Just adding a little grated nutmeg into soup or rubbing nutmeg oil on your skin, it will be good for your health. My Chinese companion was offered a small cup of concentrated nutmeg tea. I saw her face all scrunched up after taking her first sip. I asked her to describe the taste. She challenged me to drink it. Oh my! It was spicy and slightly bitter, hard to swallow at first! But it is loaded with medicinal properties. Bought some spices, nutmeg oil and paste to bring home.